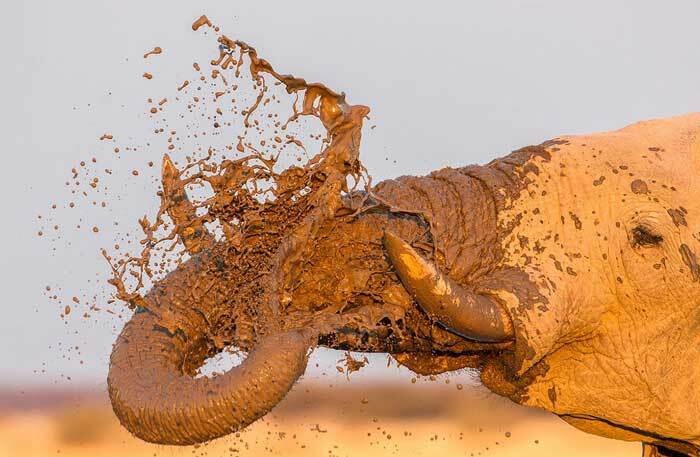 Elephants use mud as a sunscreen, protecting their skin from ultraviolet light. Although tough, their skin is very sensitive. Without the regular mud baths to protect it from burning, insect bites, and moisture loss, their skin suffers serious damage.